The Sacramento River forms Yolo County's eastern boundary. 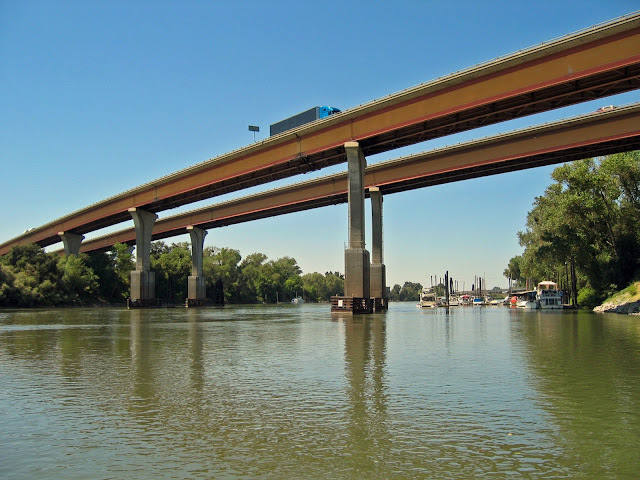 There are a lot of expressways crossing the river, especially between the cities of West Sacramento and Sacramento and most of these river crossings are steel girder bridges. 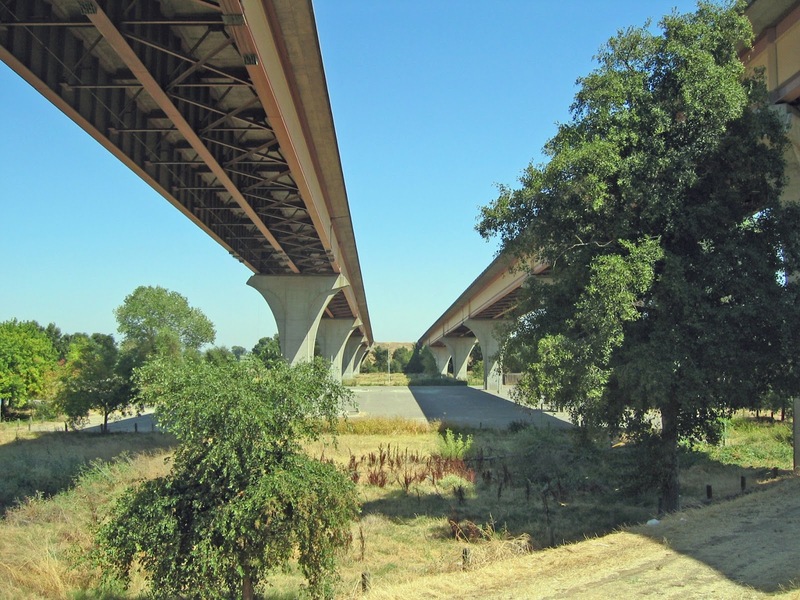 The Elkhorn Bridges (22 0025L/R) are two 17 span steel girder structures carrying Interstate 5 over the Sacramento River near Elkhorn and the Sacramento International Airport. These bridges were built in 1969, they carry 40,000 vehicles a day, and they are poor shape (57.8 sufficiency rating). 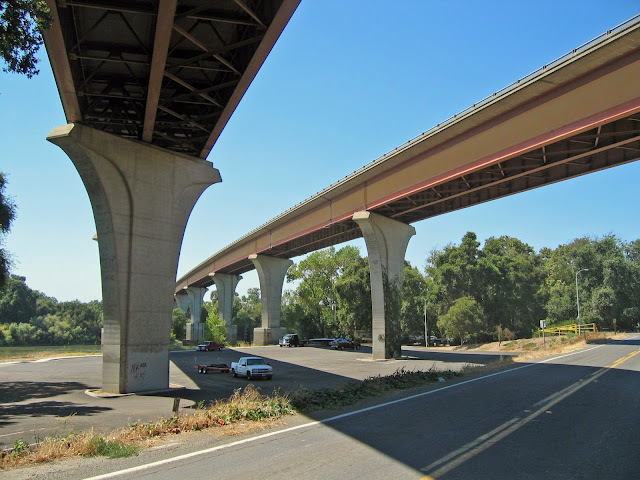 The main spans are 285 ft long, the bridges are 3630 ft long, and they're 37 ft wide. Some bridges are so ugly that they become interesting. These bridges with their strangely-shaped piers (and with the superstructure precariously balanced on top) and the burnt umber painted steel girders all contribute to their distinctive appearance. Yolo County, California Bridges: I-5 (Elkhorn) Bridges across the Sacramento River by Mark Yashinsky is licensed under a Creative Commons Attribution-NonCommercial-ShareAlike 3.0 United States License.